If the one-on-one nature of therapy seems intimidating, this alternative can be comforting. Hollywood loves to depict group therapy a certain way: always held in a large, sunny, open room, like a church or a community center, with a ring of folding chairs. There’s always coffee. Someone will come in late, and be warmly welcomed — and then immediately lay all of their worries bare. If that’s what you expect going into your first group therapy session, you might be surprised. The Hollywood version more closely resembles an ultra-glam support group. The reality’s a little different, but perhaps even more meaningful to those who take part. Most groups include five to fifteen people, all struggling with similar concerns, like a eating disorders, social anxiety, or substance abuse. Even though (most of the time) everyone will have a similar diagnosis, all group members have differing life experiences — making group therapy a fantastic way to hear new perspectives. It’s also effective: studies show that group cognitive-behavioral therapy for depression works extremely well. You’ll probably have one or two licensed facilitators. (Some studies indicate that groups with two facilitatorshave improved outcomes.) Their exact license will depend on your state and your group — they may be therapists, social workers, or psychologists. They’ll be guiding the conversation and encouraging you to talk openly. Yes, talk openly. To strangers. About your feelings. It can be scary! And that’s okay — the other participants are probably anxious about speaking, too. But, in order to actualize the amazing benefits of group therapy, you’ll want to share your story. When you’re struggling with a mental health condition like post-traumatic stress disorder (PTSD) or major depression, it’s easy to believe you’re suffering alone, or that no one else could understand the struggle you’ve been through. But once you start group therapy, you’ll quickly find that’s not accurate. Yes, you all have unique perspectives and backgrounds — but you’ll see that, in many ways, you share commonalities. One study by Stanford University’s Irvin Yalom even found that interacting with peers might help more than one-on-one sessions with a therapist. Verbalizing your feelings reduces strong emotions like pain, anger, and sadness. When you’re surrounded by people struggling with similar problems, expressing your feelings can lead to an outpouring of support. That kind of validation is essential. When you speak up in group therapy, you’re learning about yourself. Sometimes, we don’t know we feel something until we say it out loud. Those self-revelations are one of the reasons talk therapy works so well: we learn about ourselves through verbalizing our issues. And in group therapy, when you’re surrounded by people with similar challenges, you’ll get instant support for your new realization. For people struggling with social anxiety, depression, anger management, or other intersocial or socially related mental illnesses, group therapy can be a godsend. Your facilitators will work hard to create a safe atmosphere — letting you ask other members questions about their experiences and giving you the freedom to share something about yourself that makes you anxious. 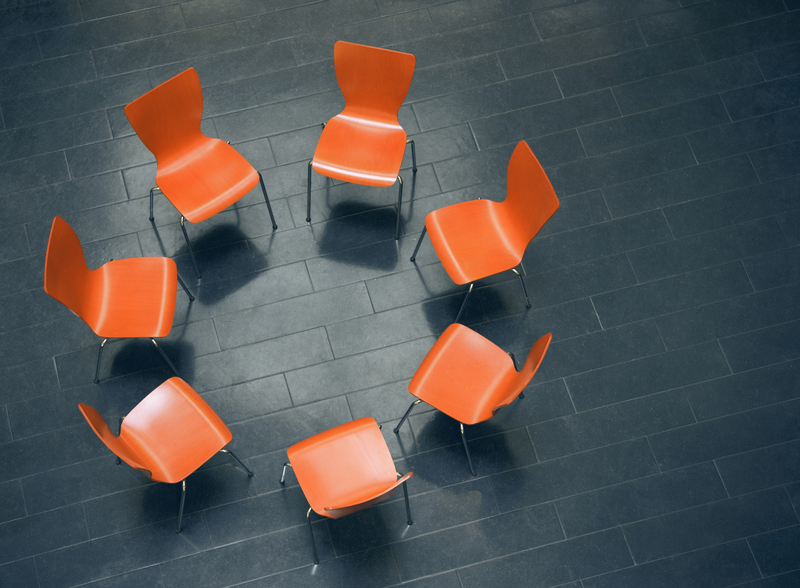 Group therapy is also a fantastic time to learn more about how you interact with people. Are you an over-apologizer? Do you cut people off mid-sentence? Or do you hang back from the conversation, terrified that your input is unwanted? Facilitators can help you sort through those emotions in the comfort of a patient and understanding group working toward similar goals. Because facilitators work so hard to make group therapy a safe and welcoming spot, you have the rare opportunity to both learn about and improve yourself. Going to your first group therapy session may feel frightening. But you may find that group of strangers doesn’t feel lonely at all. In fact, opening up to strangers can help you come to important realizations about yourself and your mental health.